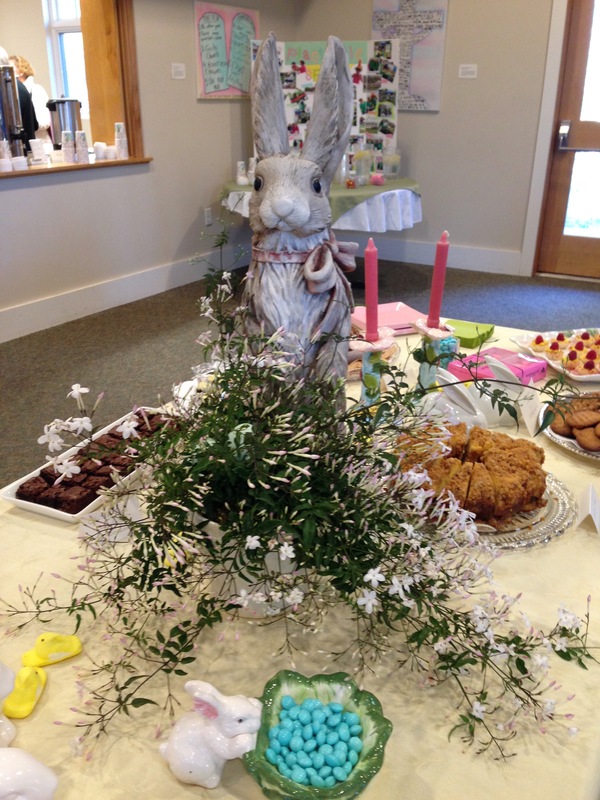 At our daytime meeting on Thursday, Barbara Williams snapped these shots of Marie Nickerson’s whimsical bunny centerpiece and the demonstration tablescape for the Creative Tablescape Competition that will be held at our June luncheon, as announced by Marti Warren. Thank you for all the great photos of bunny “Giselle” that have been popping up since the meeting! I’ll invite her next year, too! I also want to take a moment to tell you it was my pleasure to have two guests at this meeting. 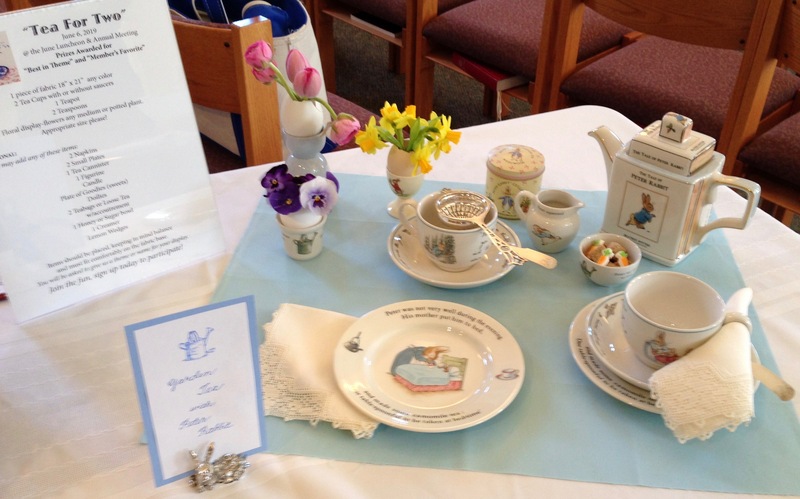 I love to “show off” the Amherst Garden Club. The evening meeting was fun, too. Thank you all for your hard work.